The Seven Feasts of the Lord are a road map for the Messiah. 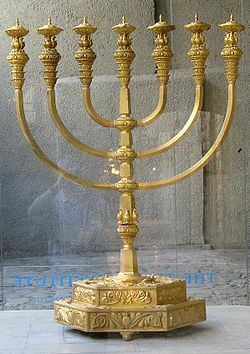 The seven branched menorah is a physical example of this reality. The Spring Feasts are prophetic of Maran* Yeshua’s first coming and ministry and the Fall Holy Days will be fulfilled upon His return and His establishing the Kingdom upon this earth. Pesach (Passover) is the High Holy Day commemorating the Exodus of the children of Israel from Egypt. 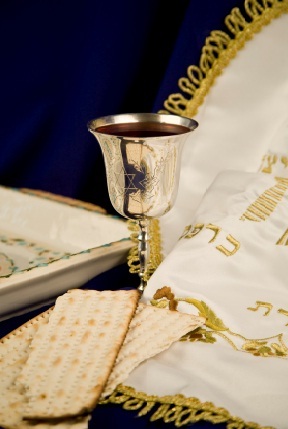 It is an eight day holiday marked by the eating of matzoh or unleavened bread. The name Pesach is derived from the time when God passed through the land and killed every firstborn Egyptian but made sure to pass over the houses which had the Blood of the Lamb on the doorpost. As in today, Maran Yeshua is the Lamb and we are sanctified by His Blood. The law of sin and death will pass over us as we call on His name. 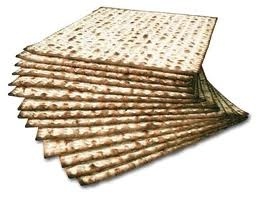 Hag Matzoh/Feast of Unleavened Bread: This begins the day after Pesach and lasts for seven days. During this time the LORD commands that we eat no leaven and have no leaven in our house. Leaven is likened unto sin, and at this time, we reflect on ourselves and the sin that is in our lives. Yom HaBikkurim (Feast of Firstfruits) begins a 50 day period known as the Counting of the Omer. This time is The Feast of Weeks during which Psalms 119 is read as we write the Torah on our hearts and souls. Firstfruits speaks of resurrection. When the Pharisees questioned Maran Yeshua for a sign He rebuked them and said that the only sign would be three days and three nights as Jonah was. Death did not hold our Messiah! On this day Yom HaBikkurim, Maran Yeshua was resurrected from the dead, as He truly is the Firstfruits. The sheaf of Firstfruits is distinctive of The Messiah who has risen from the dead as the firstfruits of those that slept; 1Corinithians 15:20. This feast occurs on the 1st Sunday after Pesach. Shavout (Pentecost) commemorates the giving of the Torah at Mount Sinai and the giving of the Holy Spriit in the Upper Room. 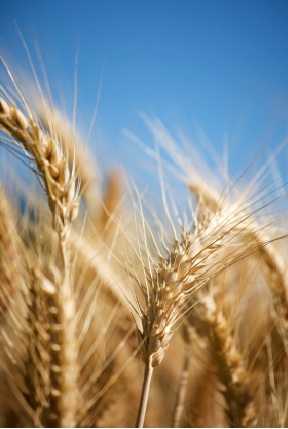 This Feast Day reflects the ingathering of wheat during the early summer harvest. 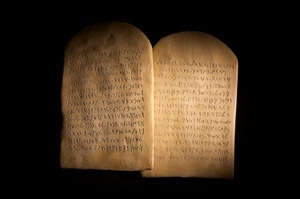 The Ten Commandments were given to Moses on Mount Sinai at Shavuot. The holiday is also called "Zman Matan Toratenu," or "The Time of the Giving of Our Law." Shavout means "The Festival of Weeks," and occurs 7 weeks after Passover. This is the same day, yet thousands of years later, that Moses was given the Ten Words (Commandments) and the Apostles received the Holy Spirit. Yom Teruah (The Feast of Trumpets) celebrates the return of Jesus Christ to earth to establish the Kingdom of God! In the book of Revelation we read about events that describe angels sounding a series of seven trumpet blasts. The seventh angel's sounding of the last trumpet signifies that "the kingdoms of this world have become the kingdoms of our Lord and of His Christ" (Revelation 11:15). Leviticus 23 calls the blowing of trumpets a memorial and many believe it is a memorial of God’s grace to Abraham (Genesis 22). 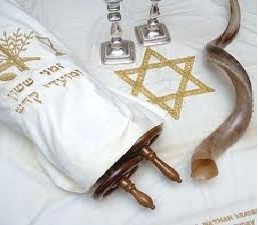 Yom Teruah is signaled in by the blowing of the Shofar (Leviticus 23:24, 1Chronicles 15:24 and Psalms 81:3). Yom Teruah begins the 10 Days of Awe bringing us into Yom Kippur. The Feast of Trumpets also marks the future fulfillment of the many Old Testament prophecies that speak of a Messiah coming as a king who will rule with power and authority. The concept of a conquering Messiah was on the minds of the apostles immediately after Jesus' resurrection. When He appeared to them in those early days, they asked questions such as: "Lord, will You at this time restore the kingdom to Israel?" (Acts 1:6). Yom Kippur (The Day of Atonement), the holiest day of the year, is a day of fasting, prayer and making teshuva (repentance) as we prepare ourselves for the coming of The Lord. We forgive and we seek forgiveness as we enter into a deeper relationship with our King, Yeshua. This is the wedding phase of our Bridegroom, Yeshua. Then as the prophets had foretold, God sent His Son, Maran Yeshua the Messiah to be the final offering for sin. When Maran Yeshua died on the tree, His death provided an atonement once and for all. Therefore, believers in Maran Yeshua can rejoice on Yom Kippur that we have assurance of forgiveness of sin. 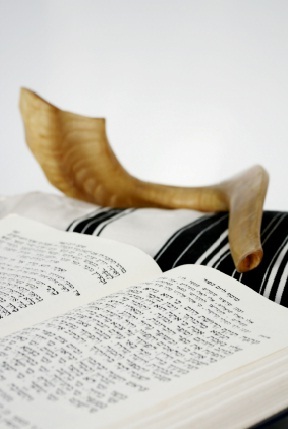 The Day of Atonement has many special customs, including: Fasting, Kol Nidre (the eve of Yom Kippur), Yizkor, a special prayer at noon, and the blowing of the shofar. 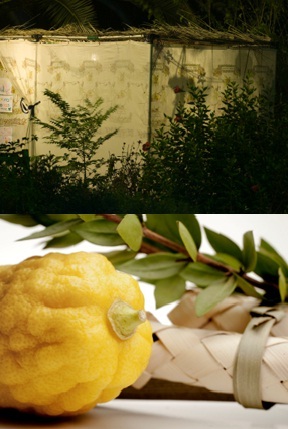 We encourage you to enjoy this season - build a Sukkot in your yard, on your porch, on your balcony - wherever- and invite friends and neighbors to come into the Sukkot and pray, eat and fellowship! Shabbat begins at sunset on Friday evening and ends Saturday night when three stars are visible in the sky (25 hours). On Shabbat we remember that God created the world and then rested from His labors (Genesis 2:2). 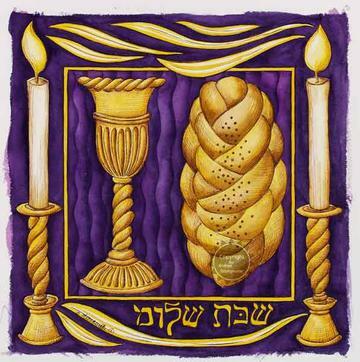 Shabbat is considered the most important of the Jewish holidays -- even more important than Yom Kippur or the other High Holidays. This special day is to be marked by three qualities: rest (menuchah), holiness (kedushah), and joy (oneg). During Shabbat we spend time with family, friends, pray, read, and rejuvenate. We light candles to symbolically drive away darkness and welcome the Light of the Mashiach Yeshua into our hearts. The Shabbat meal is a time when friends and families share highlights from the week, words from Torah, and sing Shabbat table songs, called zemirot. We are called by Scripture to both "remember" (zakhor) and to guard (shamor) the Sabbath Day, in order to consecrate it as a day devoted to the things that matter most in our spiritual lives before the LORD. Rosh Chodesh literally means Head of The Month. 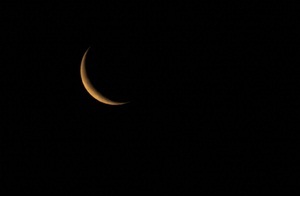 YAHWEH's beginning of months are marked by the new moon, almost invisible to the naked eye. It is celebrated at the first sighting of the waxing crescent. Numbers 28:11-15 is read as we blow the shofar in celebration of YAHWEH's appointed times. Chanukah (Feast of Dedication/Festival of Lights) explores the fighting reaction to the reign of Antiochus. A band of Jewish settlers led by the priest, Yehudah Maccabee took back the temple and conquered their oppressors. Upon returning to the Temple they found it desecrated and defiled. After rededicating and cleansing it, they found just one jar of oil for the lights of the Menorah. This oil miraculously lasted 8 days until the special oil of YAHWEH could be made. 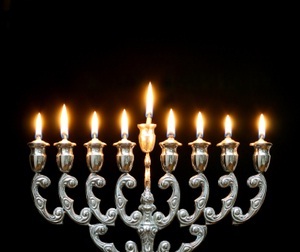 Maran Yeshua is referred to as The Light and was conceived during the Festival of Lights. He is indeed the Light of the World. Purim (Lots) is a celebration of the deliverance of the Persian Jews over one of the most evil schemes in history to exterminate the Jewish people. The Book of Esther, referred to as a monument in the history of anti Semitism, tells the story of how the beautiful Jewish woman Esther (Hadassah) and her cousin Mordechai prevent the evil Haman from his plan to massacre the Jewish people. 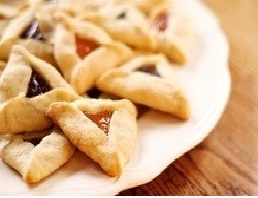 Purim today is celebrated with feasts, sending gifts of food to the needy and with reading The Book of Esther. The earliest depiction of Purim, from the Second Temple offer no suggestion of the partying that is associated with the festival today. The customs of donning masks, drinking and costumes originated in the late fifteenth century Italy. This holiday is a special one for children, as the story of Esther is told, groggers (noisemakers) are used to depict joy or booing. Hamantashen, a jammed filled cookie resembling Haman’s hat is served along with other sweet delights.